Following a low carb diet is a great way to lose weight and prevent future problems. If you’ve been diagnosed with diabetes, cutting back on your intake of carbohydrates will help you maintain your health. CLICK HERE to jump to the 1st recipe! 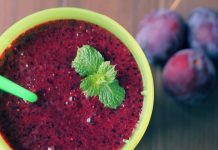 It can be difficult to limit or cut out some of your favorite foods, but by trying innovative and exciting recipes you will discover new favorites that will quickly replace the unhealthy meals you once indulged in. However, keep in mind that going low carb doesn’t have to be boring. 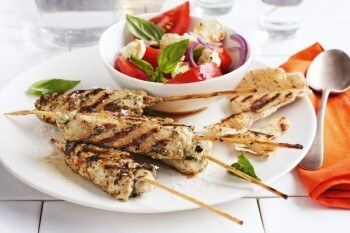 There are so many fun, creative and delicious meals that have less than 50 grams of carbohydrates per serving. Try these twelve to change up your weeknight routine. 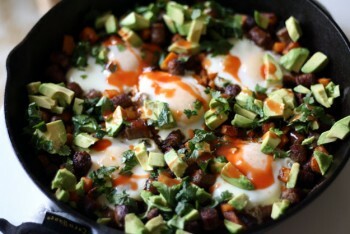 This southwestern dish that will leave you feeling full all morning long. 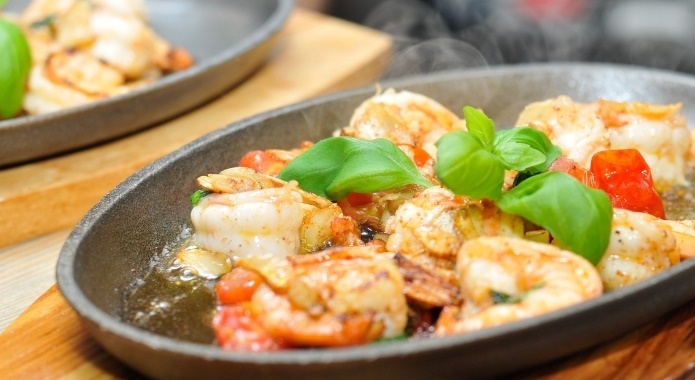 Cook this up in a cast iron skillet for best results. Spicy enchilada chicken and sweet mango are the stars of the show in this recipe. This salad couldn’t be easier to put together, and requires only a handful of ingredients. 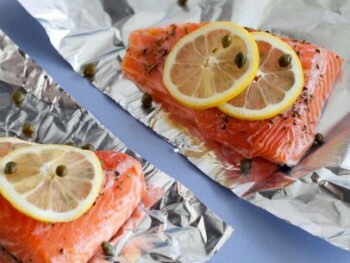 Salmon is one of the healthiest foods you can eat. It’s the ideal source of omega fatty acids and protein. Although this is considered a “fatty” fish, its high protein content actually helps you lose weight, and keeps your feeling fuller for longer. All for a gourmet-style meal you can whip up in your own kitchen. This quick and easy recipe takes just 30 minutes from prep to finish. All this for a savory meal that everyone will love. In the mood for tacos, but want to avoid the extra carbs? 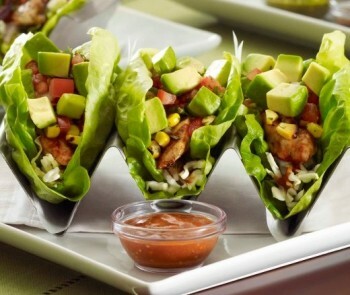 Martha Stewart’s Mediterranean lettuce wrap tacos will satisfy your cravings without the guilt. 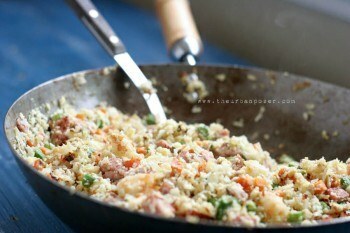 This is a great dish for lunch or dinner. 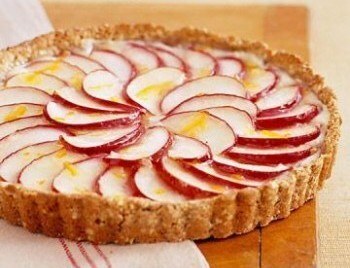 For a sweeter version, use Granny Smith apples. All this for creating a delicious dessert your family will love. 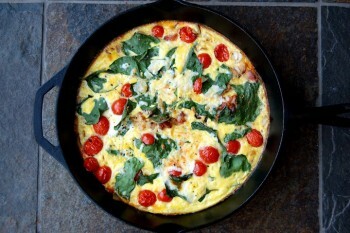 Best served in a cast iron skillet, this frittata cooks up in just 10 minutes. 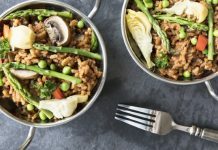 This recipe is grain-free and loaded with veggies. 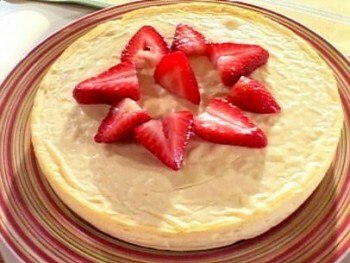 This is a great alternative to ice cream and the perfect dessert for a summer cookout. 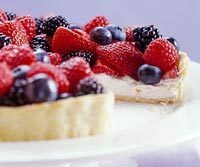 Try making the tart pastry ahead of time to reduce prep time. 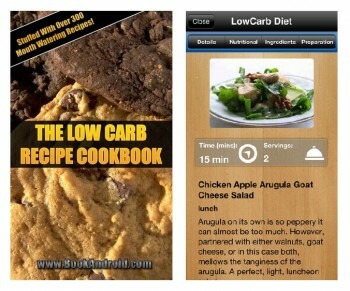 Low Carb Recipe Cookbook – Available for Android devices, this application offers more than 300 meals from every category, including breads, entrees, salads, soups and more. All of these come with easy-to-follow directions and have no more than 50 grams of carbs per serving. The best part? It is absolutely free. Low Carb Diet (Recipes To Lose Weight) – Available for iOS, this app provides hundreds of meal ideas for breakfast, lunch, dinner and even snacks. With this one, you can star your favorite recipes for quick reference and search through its database of instructions to find exactly what you’re looking for. This app makes it simple and easy to stay on the right track. Its PRO version is just $1.99, which is a small price to pay for access to so many excellent meals. 500 Low-Carb Recipes by Dana Carpender – This is a national best-seller and includes mouth-watering, low-carb instructions for appetizers, muffins, breads, snacks, side dishes, cookies, entrees, cakes, desserts and so much more. This cookbook also includes meals for single people and tips on how to break out of old eating habits. With 500 possibilities to choose from, you’ll never grow bored of your diet again. 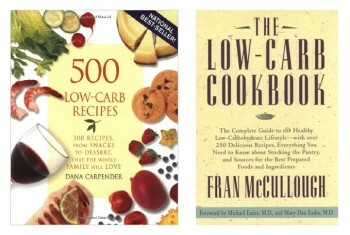 The Low-Carb Cookbook by Fran Mccullough – Author of this book is a guru. She’s the one who introduced the world to almond meal bread and the idea of using cauliflower as a potato substitute. This is a must-have resource for anyone who is serious about following a low-carbohydrates meal plan. In addition to excellent recipes, this book also provides information on the health benefits of limiting carbs and how to stock your pantry with staples that are low on this substance. 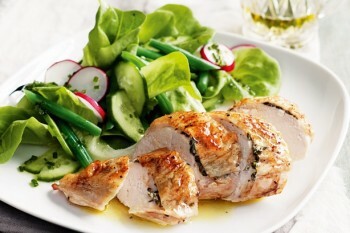 Food.com – This site has more than 85,000 tasty recipes, all submitted by everyday users. You’ll find plenty of stuff for meat-lovers and vegetarians alike. From salsa chicken to pan-roasted broccoli Food.com has something for every taste and every diet type. 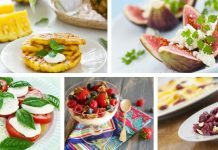 TasteofHome.com – Taste of Home is a great low-carb resource. 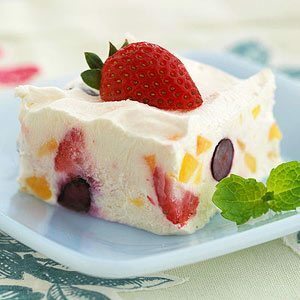 Although some of their recipes are only available to subscribers of the magazine, the website still offers hundreds of free ones that any user can view. Taste of Home offers inspiration for breakfast, lunch, dinner, dessert and snacks.